Harmonica set with carrying case. Harmonica set with all of the most commonly called keys. Bring this set to the blues jam and be ready for almost anything. Even if the guitar player tunes down a half step, you've got a Bb harp in this mix. Includes a carrying case. Harmonicas can be expensive, so getting seven primary harps in all of the main keys is a real opportunity. 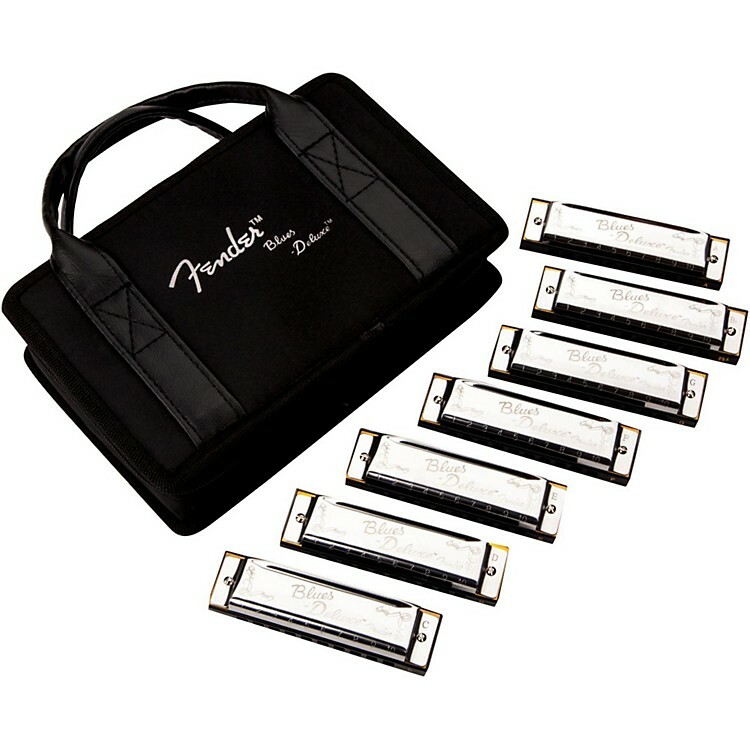 Perfect for the seasoned harpist or those who are just starting out, the Fender Blues Deluxe Harmonica is versatile enough for any level of player. With solid construction, a traditional shape and bright, articulate tone, this diatonic 10-hole harmonica offers the classic sound and long-lasting reliability of any genuine Fender instrument. Order today and get the primary keys for one low price.